These local notaries spent their Saturday night, not on the couch binge watching the latest season of OITNB, but out at a restaurant CONNECTING with other notaries, an escrow officer, and myself, to help grow their business. When you remember that you're always just one connection away from having your dream business, that's what you do-increase your chances of connecting. 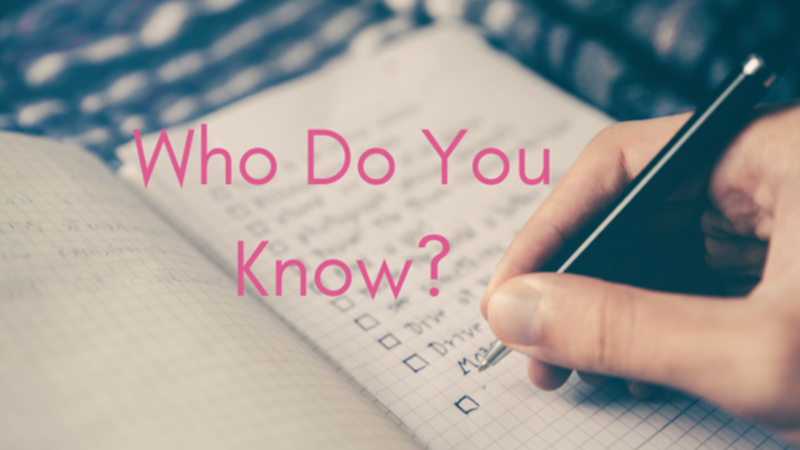 Your database of people you know is your most valuable asset. This network, yes, YOUR network, is already worthy of your respect and attention. The day you recognize that, and treat your database like the ultimate resource it is, is the day your life will change. The people around you are there for a reason. It will blow your mind how many people want to support you in this business. Don't discount their love, and don't discount their power. Let's say you know 100 people. That's lower than the average, but it's an easy number to work with. Those 100 people should be in some sort of database for easy access and remembering. Use an excel spreadsheet, Hubspot, or a note pad. It doesn't matter right now. Just get it made. This database alone, is a powerful tool. But, it gets better. Those 100 people on your list also know 100 people. That gives you access to over 10,000 first level connections! That's 10,000 people that you may be able to help with your services. And, things get really crazy when you think about the 100 people THOSE 10,000 people know. This is how business gets done- through relationships! I know what you're thinking: "okay great, sure I know 100 people, and sure, they know 100 people, so what? All 10,000 people won't all need a notary in the same year, so what good is this database, and how do I pay my Netflix bill?" You're right. An uncultivated database is like an unread book. It might look pretty sitting on a shelf, and might make you look smart on your first date, but ultimately its worthless. You gotta work it. The first thing you have to do is find creative and unique ways to stay consistently connected without selling anything. This is about building relationships for the long term. Take your time with this. Second, be authentic. No one likes a fake, so learn to be interested in other people, and don't be afraid to show you care. Let go of the idea that your business persona should be different than who you are. Show up and be you. 1. How can I be of service and bring value to this relationship? 2. How could I help this person? If you can't come up with an answer on your own, ask them directly. I'd be willing to bet the last person that wanted to do business with them didn't ask them much, if anything, about how they could be supported. There's a very good chance that you already know the very person, or persons, that can help your business explode. You just have to have the vision, and the courage, to see and act. Trust that you've come to this business for a reason. Trust your path. Trust your connections. Then, take massive action and get this show on the road. Theres a lot of life to be lived.